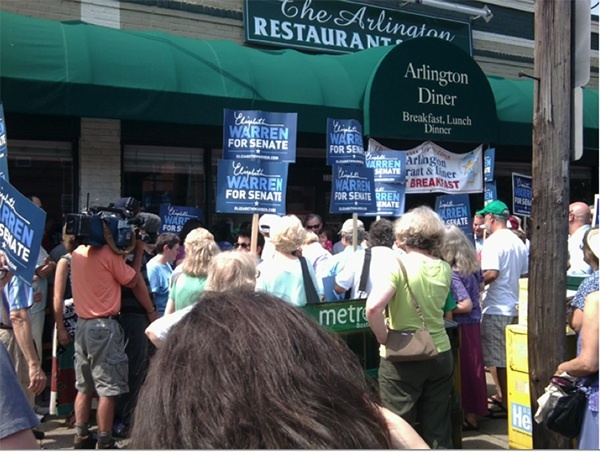 On Friday morning, Arlington Diner was packed and the crowd outside filled most of the block. 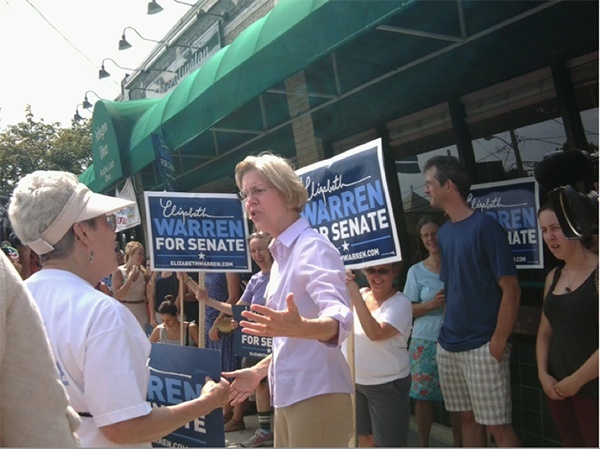 Word got out that Elizabeth Warren would be stopping by quickly, and Heather Fowles, the Co-Chair of the Arlington for Elizabeth steering committee, was thrilled with the crowd. Ron Sweet, an Arlington music instructor, took effort to meet Elizabeth on his way to the airport. 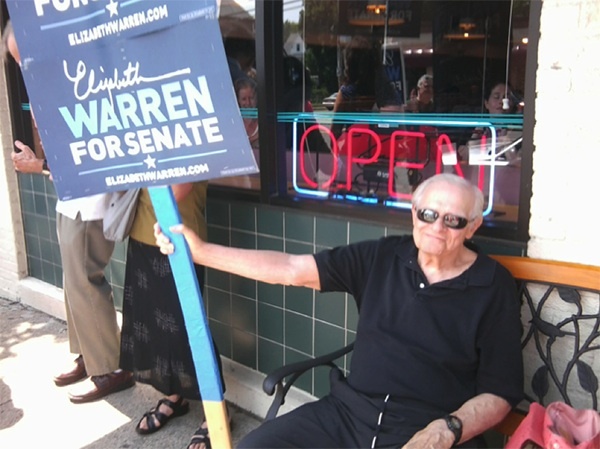 “She understands the power needs to be taken away from corporations and returned to the citizens,” he said.